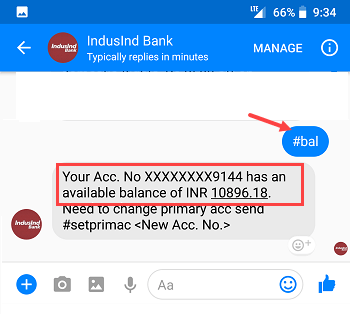 Want to check your Indusind bank account balance on facebook? Yes, you can now check your account balance through facebook. Indusind Onthego banking on Facebook lets you stay connected with your bank anytime anywhere on Facebook. You can check your balance, check mini-statement, check reward points , hotlist your Debit card, find the nearest ATM/branch, perform a mobile/DTH recharge instantly and QuickPay anyone on facebook or even to ones not using Facebook! To start, All you need is to have a registered mobile number. So let’s see how to check Indusind bank account balance on Facebook. First you need to register Indusind Onthego banking on Facebook. Registration process is very easy and fast. 2: Now you need to send message in below format. Tap on Send Message button. 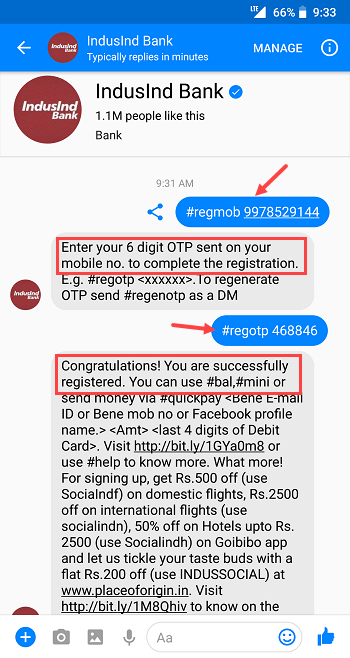 You will receive OTP on your registered mobile number. Done! you are successfully registered and now you can check account balance, make fund transfer, view mini statement by sending message in below format. If you want to check account balance send #bal & you will receive net balance instantly. see below screenshot. You can send message in below format for different task. 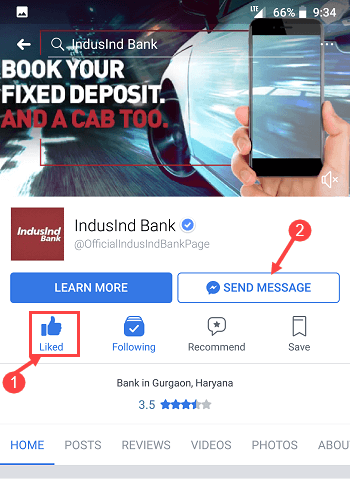 So this is how you can stay connected with your bank anytime anywhere on facebook app or messenger with IndusInd OntheGo Social Banking on Facebook.